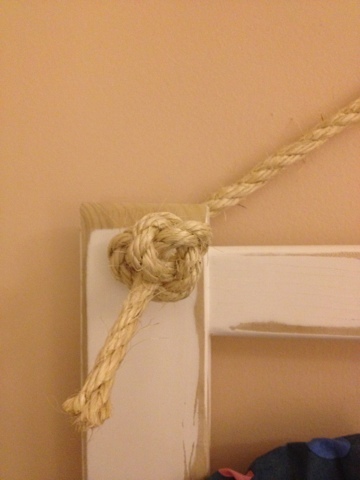 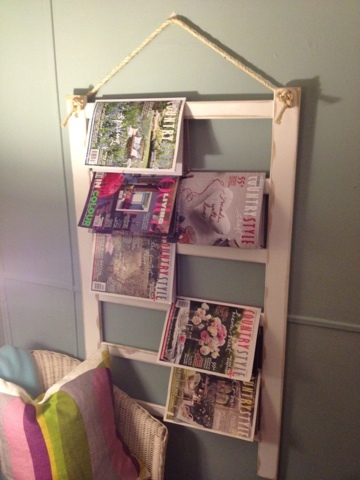 So I created a ladder structure and knotted jute rope to hang it on the wall...how about storage for magazines/books in the toilet? 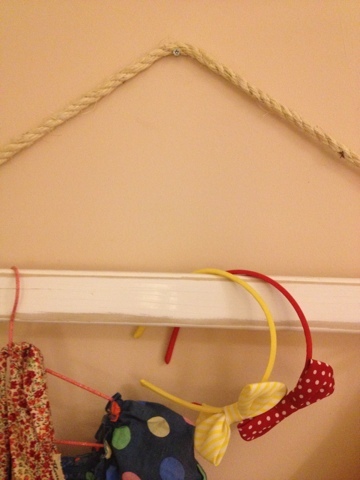 Or keeping kids books in a low, reachable space? 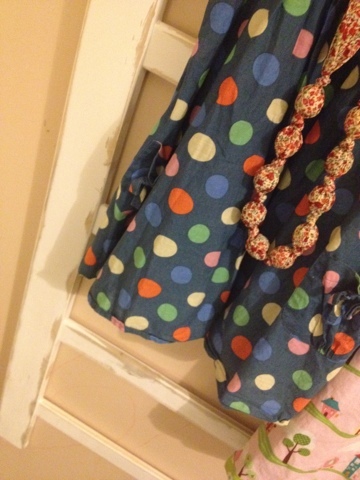 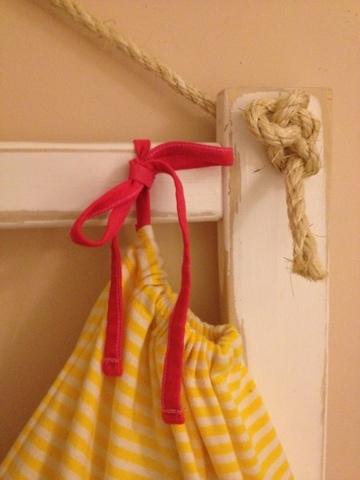 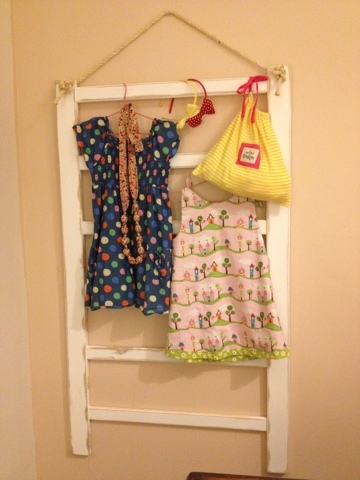 Or displaying the next few days clothes for your little one? 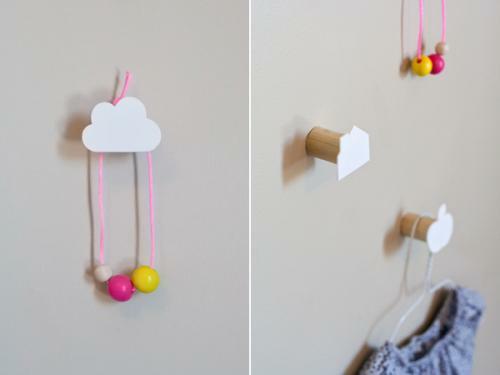 This is such a simple idea, but I really think that it is quite clever.